I am.. more of a safety school for me. Replies to: who is applying? My D just started at U of T. If anyone has any questions, I'd be happy to try to answer them. Is your DD a gradute of an American high school? Alwaysamom, if you don't mind me asking, what is your daughter studying? How did your daughter decide what residential college to apply #1 to? And what college is she in? Is there anything one can do to enhance the chance of getting in - the all grades/all test scores approach is daunting compared to the US school with EC's and recommendation letters and interviews. DOes she like it? Pros and cons? dooit, her plan is to major in English and possibly adding a second major. This year, her first, she's taking a variety of courses, two English and three other different ones. spikemom, she did a lot of research on her own, reading info from the website, talking to current students (prior to applying), reading livejournal, etc. She decided on Victoria and that's where she is, and so far is very happy. The frosh week of activities they put on was wonderful. Vic is a very popular college and it also has an abundance of scholarship money. My D has dual citizenship so she is eligible for these, and was lucky enough to get some scholarship $$. I'm not sure if students who are just American are eligible. That's something you might want to ask. I know that American kids are not eligible for the Ontario student aid which is need based. Other than good grades and test scores, I'm not sure what can be done to improve admission chances. The admissions process is so much simpler for Canadian schools than for American ones. For my first two Ds, it was complicated and so time-consuming. I was glad that D3 decided on a Canadian school! She's been there for a month now and is extremely happy. Her classes are challenging and interesting, she's made several friends, she enjoys her roommate and the others on her floor in her dorm, and the city has so much to offer. So, so far so good! If you can think of any other questions, please ask. alwaysamom, thanks for the info - we visited UToronto in August and were so impressed. We had tours of University College (nice)and Innis College (just OK), couldn't fit in any more with the overall campus tour as well. Victoria College was so beautiful. This year you select your college preferences at the time of application, not after, so we have to figure that out. DS wants a dorm with a food plan, so that leaves Vic, New, University and Trinitiy. I gather no one gets into Trinity, and I really think it's between Vic and University. We have nmet the same recruitment officer twice, once at a presen- tation here in the Boston area and once while at UToronto, and I think he knows who DS is, and was very positive with him, but have the feeling they just feed all the info into a computer and it spits out the acceptances! Even if we do not get money there, the low cost is like getting a scholarship!!!! spikemom, good luck to you and your son with the application! You're right, Vic is beautiful but then, so is much of the campus. It truly is a perfect setting, in my opinion. I don't think I've ever seen such a beautiful urban campus (don't tell D2 who goes to NYU that! ) 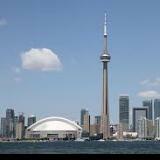 We love Toronto, lived there for many years and are just in the process of moving back again! My D looked at Trinity, and knows some kids there (a couple of nieces and a nephew) but it wasn't the right place for her. She wanted something with more diversity and Trin does not have that reputation. She also thought the wearing of special gowns in the dining hall was ridiculous. Vic has a variety of different types of dorms, traditional, apartment style, gender specific, co-ed. The dining hall is in Burwash which is a gorgeous building. The food is reportedly pretty good for dining hall food although I'm sure, like most kids, she'll get sick of it after a while. I like the residential college system. It gives the kids the feel of being at a smaller college yet they still have the many benefits of attending a large university. The ability to take any course offered at any U of T college, regardless of your residential choice, is one which I wish schools like NYU would incorporate into their system. Best of luck to you! I might be wrong, but I don't think University College has a dromitory. dooit, UC does have dorms. The ones I can think of off the top of my head are Sir Dan, Morrison, and Whitney. We toured University College with a very helpful student who works there during the summer. It has a lovely quad and nice architecture although not as stunning as Vic, but seemed comfortable. Trinity seemed too Harry Potter-ish to DS, and he shares the desire for real diversity, one of the reasons UToronto is so appealing to him (he is a city kid). Vic has a terrific program called Vic One that interests DS - alwaysamom is by chance your DD in that program? spikemom, sorry it's taken me so long to check back here! No, my D elected not to apply for the Vic One program. She had a few different reasons but the restrictions on classes which could be taken in first year was the biggest negative for her. From what we were able to glean about the program, it is a fairly isolated little community which lives and attends classes (although not ALL I believe) together. There are very specific classes which must be taken. The group lives in Burwash and from the people that my D has met, seems to be focussed on Poli-Sci type classes. Sorry I can't be of more help there! thanks for the info - DS will probably major in poli sci so it might just be right up his alley.